In our shop you will find the right pump or the right filter for your pond and watercourse systems. Your Koi sometimes have colds - We have the matching medicine cabinet for your favorites. The delivery takes place in Europe in selected countries by Hermes Europe GmbH. Delivery only to addresses in Austria, Belgium, Denmark (except Greenland, Faroe Islands), Germany, Estonia, Finland (except Aland), France (excluding overseas territories), the United Kingdom of Great Britain and Northern Ireland (excluding overseas territories), Ireland, Italy (except Livigno, Vatican City, San Marino), Latvia, Liechtenstein, Lithuania, Luxembourg, Monaco, Netherlands (excluding overseas territories), Austria, Poland, Portugal (excluding Azores and Madeira), Sweden, Switzerland, Slovakia, Slovenia, Spain (except Ceuta, El Hierro, Fuerteventura, Gran Canaria, La Gomera, Lanzarote, La Palma, Melilla, Tenerife), Czech Republic and Hungary possible. Please select for displaying the shipping costs your country in the list below. When selected, cash on delivery extra fees of 4.60 €. In addition, € 2.00, shipper's fee is payable directly to the delivery service. 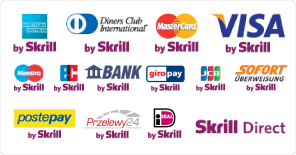 If you pay via a payment system of the Payment Provider "Skrill Moneybookers", a surcharge of 2.5% of the value of goods is calculated up to value of goods of € 50.00. Shipping costs apply only for shipping within Germany. International Shipping within the European Union. Belgium, Denmark (excluding Greenland and Faroe Islands), Estonia, Finland (excluding Åland), France (excluding overseas territories), United Kingdom of Great Britain and Northern Ireland (excluding overseas territories), Ireland, Italy (except Livigno, Vatican, San Marino), Latvia, Lithuania , Luxembourg, Monaco, Netherlands (excluding overseas territories), Austria, Poland, Portugal (excluding Azores and Madeira), Sweden, Slovakia, Slovenia, Spain (except Ceuta, El Hierro, Fuerteventura, Gran Canaria, La Gomera, Lanzarote, La Palma, Melilla, Tenerife), Czech Republic, Hungary.